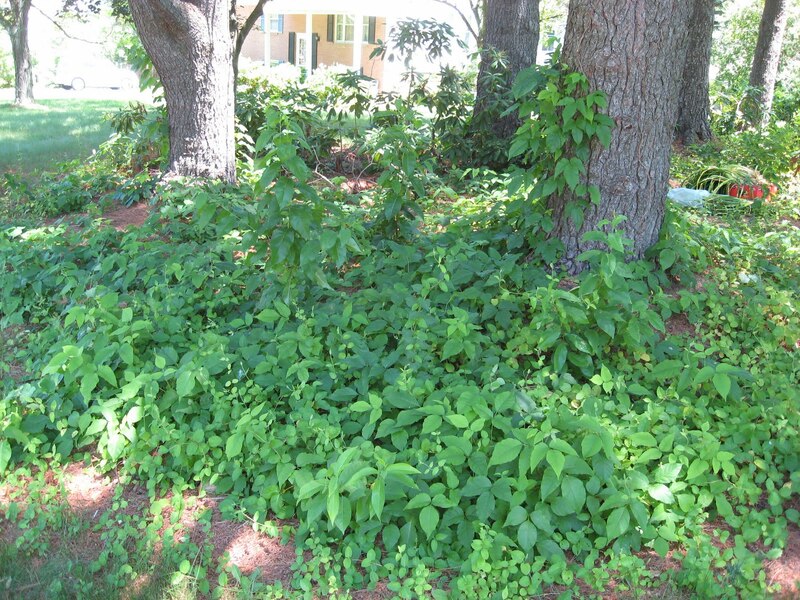 Last fall, we paid some guys to clear out the brush under the pines in the front yard, because there were baby trees and poison ivy and vines choking everything and looking like a jungle. It looked great after they were done, but the thing with plants is that they grow back. Bastards. 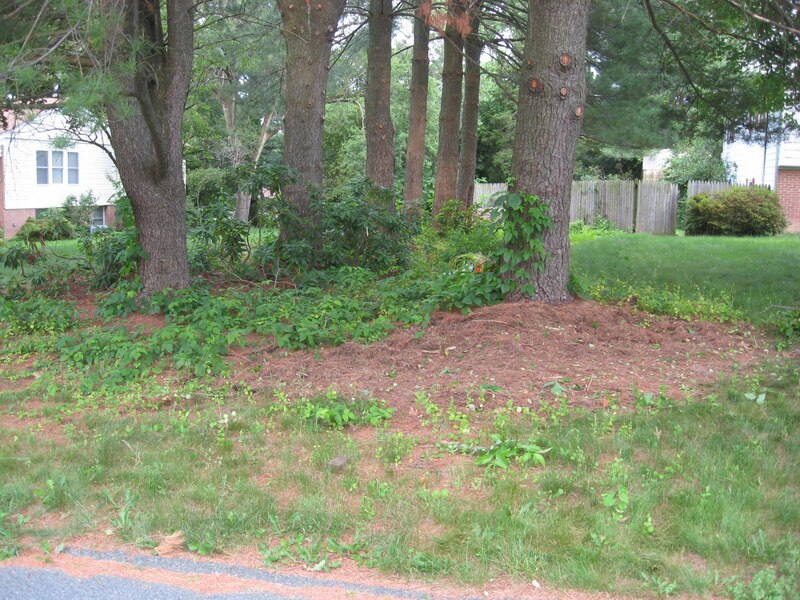 Here’s what I had to deal with: My neighbor across the street offered me a huge pile of orange daylilies she cleared out from her garden, and I plan on putting them in this area to take over and fight back against the weeds. Or to at least blend in with the weeds and look pretty, so it looks like I’m making some sort of effort in my yard. I also purchased a few hostas recently, with plans to put them under these pines. I have visions of a low-maintenance, jumbled daylily-and-hosta garden under the trees. But first I need to clear out all this crap, including the six inches of accumulated pine needles, and make some space. 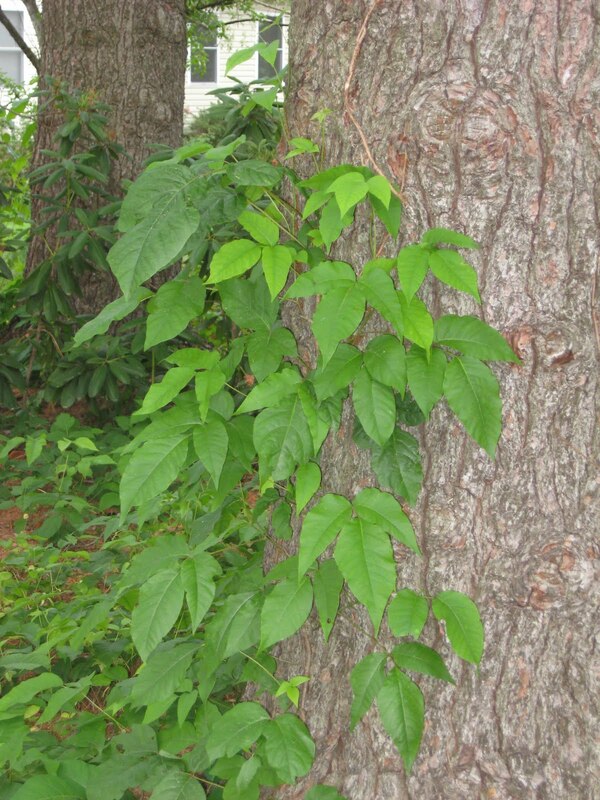 But now I’m a little itchy and concerned, because of the three-leafed, urushiol-laced menace crawling all over my trees. I used gloves, and I wore long sleeves and long pants. But reading online, after I was done (I do this sort of thing backwards a lot), I see recommendations about wearing two layers of rubber gloves and several layers of clothing, goggles, and rubber boots. Gently pulling on the vines to uproot them and stuffing them into doubled-up plastic trash bags. Removing the clothes carefully without touching anything and then laundering them immediately, while going to shower in cool water with no soap. I used regular garden gloves, ripped those bastards up like I wanted them to die, and flung them into a huge pile. I went inside, took off the clothes to toss them in the wash, and then showered in normal water with soap. I’m paranoid that I’m going to wake up in the morning covered in itchy blisters, despite the fact that the little itches I am feeling all over my body are probably completely psychosomatic and not actually the start of a poison ivy rash.